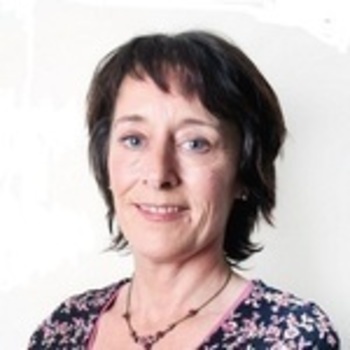 Lorraine Hennessy ran for South Dublin County Council in 2014 but did not secure a seat. "The reported spurt in economic growth making headlines across the state is just an illusion for the great majority of working class people who have experienced little or no recovery while many more have seen their personal situation grow starkly worse as this nascent Celtic Tiger roars for the few." "We propose to end all tax loopholes; introduce of a minimum effective tax rate; a third tax rate on all earnings over €70,000; ring fence of all USC payments for Health and Education expenditure; increase the rate of employer PRSI; and introduce a corporation tax to an effective rate of above 12.5%." "We believe that access to clean and safe water is a basic human right and it is the responsibility of the state to provide it. The entire structure, operation & funding model of Irish Water suggests that the government’s plan is to eventually privatise it. It is an inefficient & unnecessary company." "We believe that the boycott is the best way to defeat Irish Water and the eventual privatisation of our water supply. Despite constant threats and deliberately inflated payment figures aimed at cowing opposition to those water charges there is still mass opposition to them right across the country." "The Workers’ Party supports the right of women to access reproductive services, including free, safe and legal abortion services, within their own country and believes that individual women are best placed to choose when they need those services." "The Workers’ Party supports the call for a referendum on the 8th Amendment and is an active member of the Coalition to Repeal the Eight Amendment." "The Workers’ Party believes that the minimum wage should be increased to the rate of a Living Wage, currently set at €11.50 an hour for full time adult workers, and that all workers must be in receipt of this." "All workers are entitled to a living wage & predictable working hours. Low hour contracts deny these rights. They undermine workers’ ability to negotiate with employers, and make it impossible to combine work with other duties, such as childcare. ‘Flexible working’ benefits the wealthy, not workers." 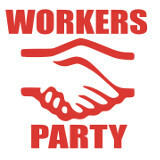 "The Workers’ Party believes that housing should be about people and families, not profit and landlords. The state already gives huge subsidies to landlords in the form of rent subsidy and tax breaks. It is unacceptable that it also allows landlords to increase rent without control." "The Workers’ Party supports the elimination of unfair flat charges including the home and water charges." "Travellers have been abandoned to the sides of roads, to overcrowded, inadequate, or ‘crisis’ accommodation, and to the private rented sector due to lack of interest in their welfare. If local authorities are unable or unwilling to establish adequate accommodation then the government should step in." "The fairest & most efficient means of providing healthcare is through the provision of a state system, funded by progressive taxation. Universal health insurance, the option promoted by the current government, creates a marketplace for health care, rather than treating it as a human right." "The Workers’ Party supports a state funded high quality childcare system based on the primary school model, encompassing infant care, early childhood education, and pre/after school and holiday time care, which is accessible to all parents, including those working unsociable hours." "Children should have the right to learn about people and customs from all over the world, without preference to any particular code of beliefs. Children should be able to access clear information in their schools about healthcare and sexuality, without reference to religion." "The Workers’ Party supports a secular state and, in particular, the public provision of secular education and healthcare on an equal basis to everyone. It is the duty of government to deliver these services, something that Irish governments have for too long delegated to religious institutions." "The conditions that have created the current refugee crisis must be properly understood, i.e. the poverty, conflict, and war created by the capitalist system and major powers. We believe in the humanitarian duty to help those forced to seek asylum." "We believe in international cooperation. However, the EU is an institution that serves the interests of capitalism and the exploitation of workers. It is an anti-democratic institution, and we believe that powers need to be returned to the democratic control of the peoples in the member states." "We seek the creation of an environmentally-sustainable economy serving the many, not the few. Investment in alternative energy sources is essential. Wind farms should be used where most appropriate, following full consultation with local communities, but other technologies should be harnessed too." "We need an environmentally sustainable economy that serves the interests of working people and not the domestic and global elite. The EU’s targets are a start, but the capitalist system prevents the type of planning & efficient use of resources necessary to seriously tackle climate change." "The Workers’ Party believes that an effective whip system maintains the transparency in politics by ensuring that elected representatives are kept to the promises that they make in election time." "The Workers’ Party has a long and proud track record of fighting for the democratisation of state and society, both north and south. We work for genuine democratisation and support the demand that government and political institutions must become more responsive to the people." "We recognise that crime, and its relationship to poverty, is a class issue and that the justice system is inherently biased against those from the working class. We also recognise that some people should be imprisoned. Rather than adapt a one size fits all policy, there should be flexibility."